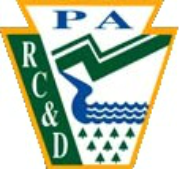 The Pennsylvania Stream SignageA true partnership effort between the RC&D Councils, Pennslyvania Organization for Watersheds & Rivers, Penn DOT, municipalities, watershed organizations, conservation districts, and others. Working together the group was able to install stream identification signs at locations where roadways crossed streams. Signs were purchased with funding from the PA DEP Growing Greener Program and placed at over 4,000 stream crossings on more than 1,500 different roadways throughout 45 counties. Pennslyvania Rural Community Fire Protection ProgramThrough the Pennslyvania Rural Community Fire Protection Program, RC&D Councils were able to assist local fire companies in their efforts to reduce damage to property because of fire. Thanks to a grant from the US Forest Service and the PA DCNR Bureau of Forestry, RC&D Councils were able to provide equipment and materials for the installation of dry fire hydrants. Dry fire hydrants are non-pressurized pipe systems. They allow a fire truck to attach a hose to the hydrant and quickly and safely draw water from a pond, river, or stream. An added benefit for nearby property owners is that the presence of a dry fire hydrant may reduce their property insurance premiums. C-SawConsortium for Scientific Assistance to Watersheds, provides free technical assistance to watershed groups, lake associations, municipalities, and other organizations interested in monitoring, restoring, and protecting Pennsylvania’s waterways. C-SAW consists of a team of many individuals, who are considered experts in the field of watershed studies and assessments. Services provided include mentoring, quality control for water chemistry analysis and macroinvertebrate identification, and watershed specific technical assistance. C-SAW is made possible by a grant from the Pennsylvania Department of Environmental Protection's (DEP) Growing Greener Program.